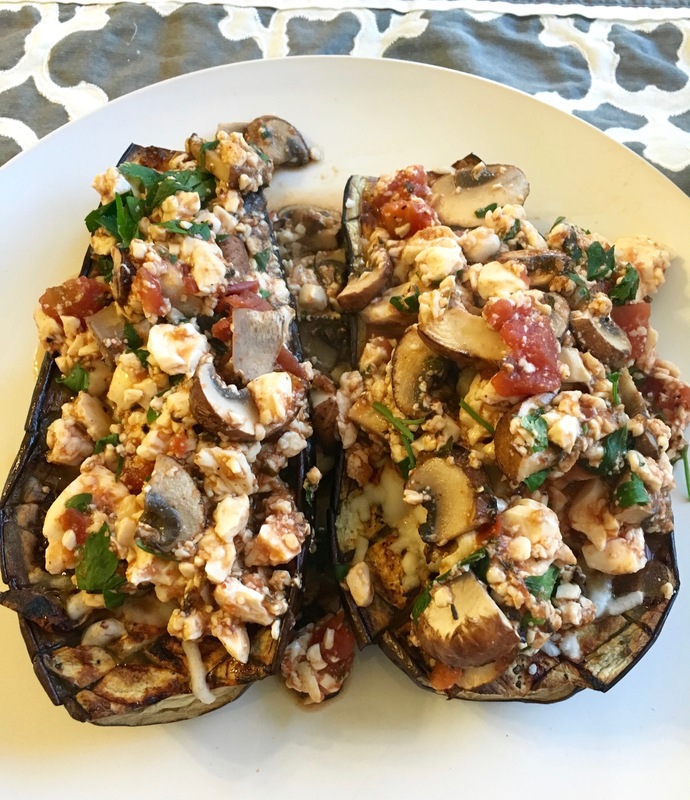 With eggplant’s peak season coming into full swing, I thought it was the perfect time to post a recipe using one of summer’s best vegetables. Whenever I am at the market, I always make sure to pick out an eggplant with firm and glossy skin. I also make sure that it seems a bit heavy for it’s size and then I know ift is going to be a good one! 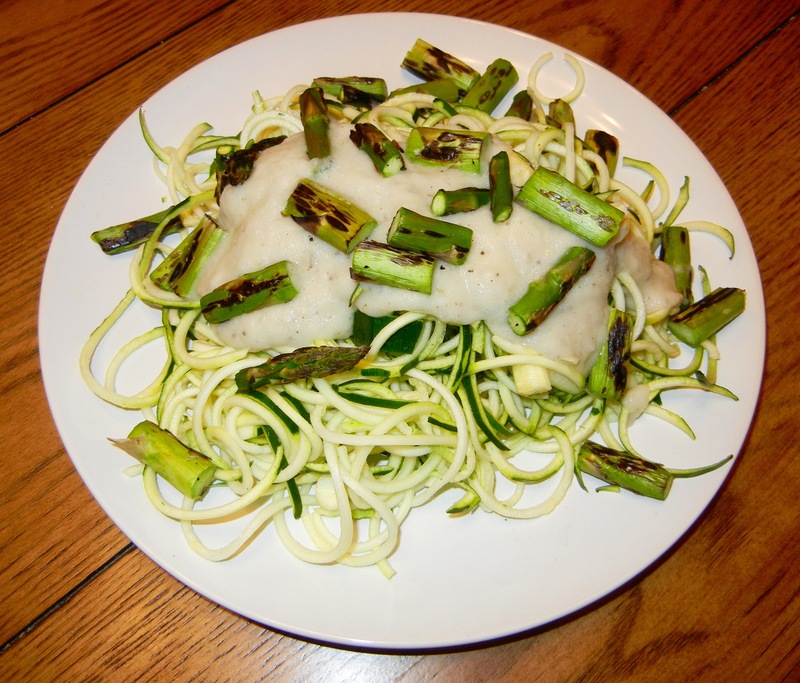 I came up with this recipe the other night as I wanted something hearty and flavorful, but also healthy and full of protein. Thanks to the tofu and vegan cheese, this recipe is protein packed but also vegan so it won’t weigh you down. Enjoy the full dish for dinner or just one open sided half as an appetizer. Rinse Eggplant and cut off top and bottom and then slice in half, lengthwise. Score inside of eggplant sides to create checkerboard pattern. Either brush insides of eggplant with olive oil or use cooking spray and season with salt and pepper. Place eggplant halves cut side down on a baking tray and place in oven for 35-40 minutes until tender. When eggplant halves have about 5 minutes more to cook, begin to saute mushrooms. Once beginning to brown add in tofu and spices and stir. Finally, add in marinara. Remove eggplants from oven and flip over. 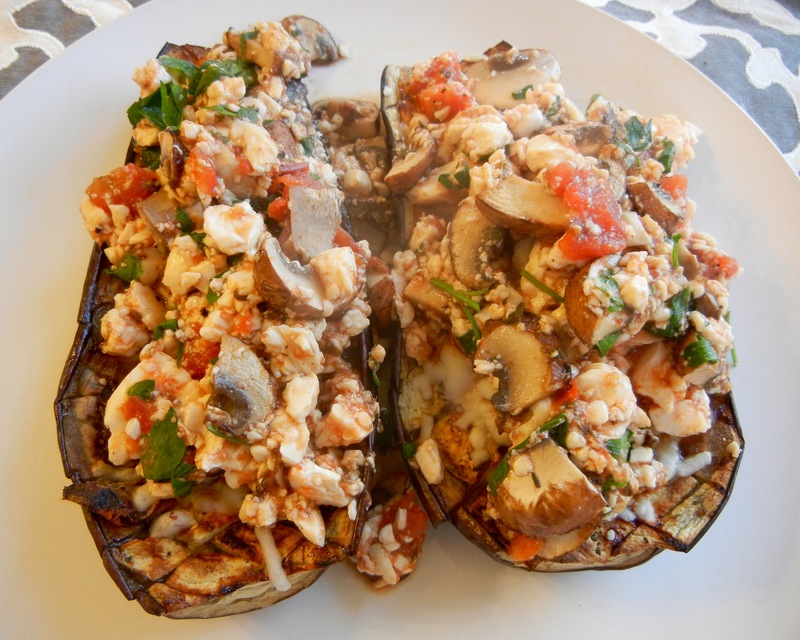 Serve each eggplant half with half of the tofu mushroom mixture. Optionally top with fresh herbs. With summer in full swing, there is nothing better than kicking back and enjoying a sweet cold treat. One of my favorite summer desserts is sorbet. 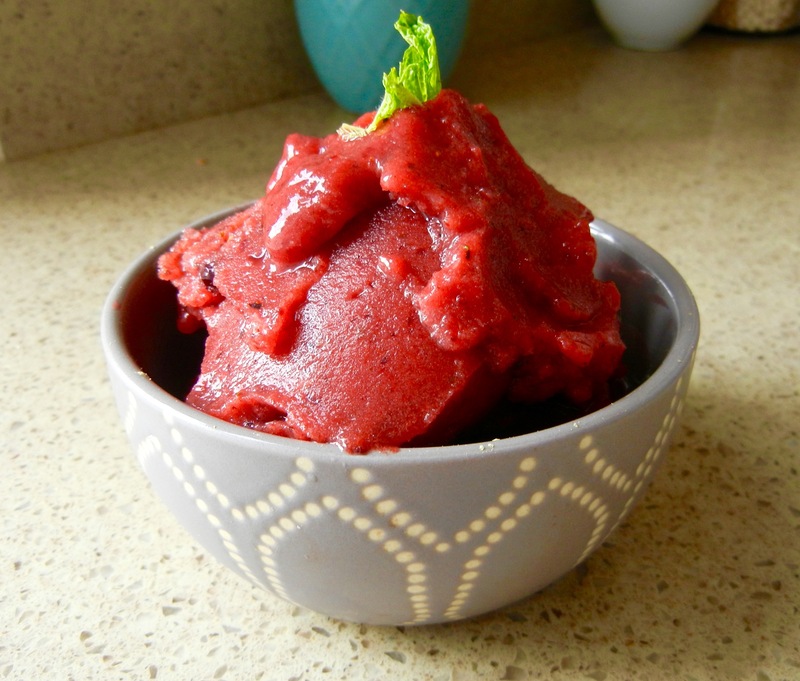 Though my true love will always be ice cream, sometimes you need a lighter and fruitier alternative, and that’s where this super lightened up and tasty mint mixed berry sorbet comes in. 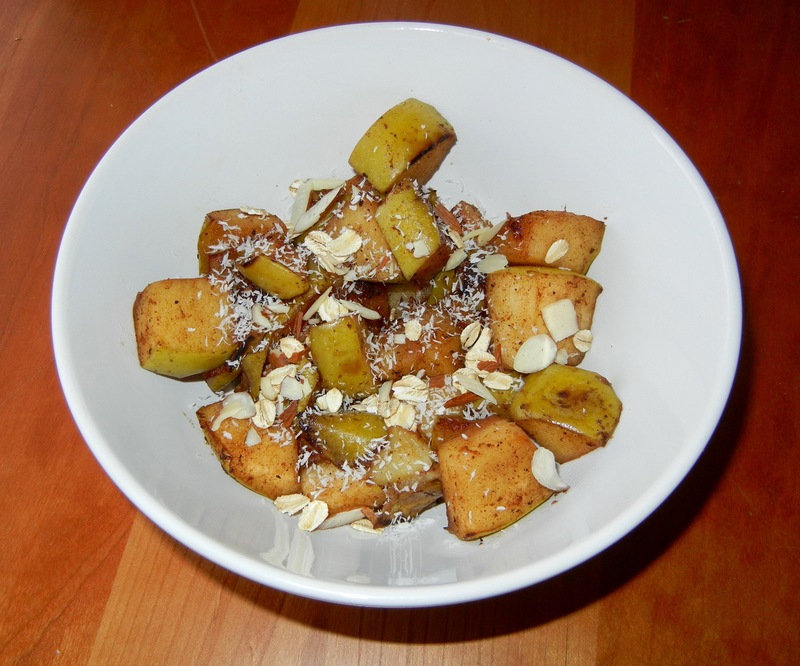 This recipe is vegan, just a few wholesome ingredients, and could not be easier to make. 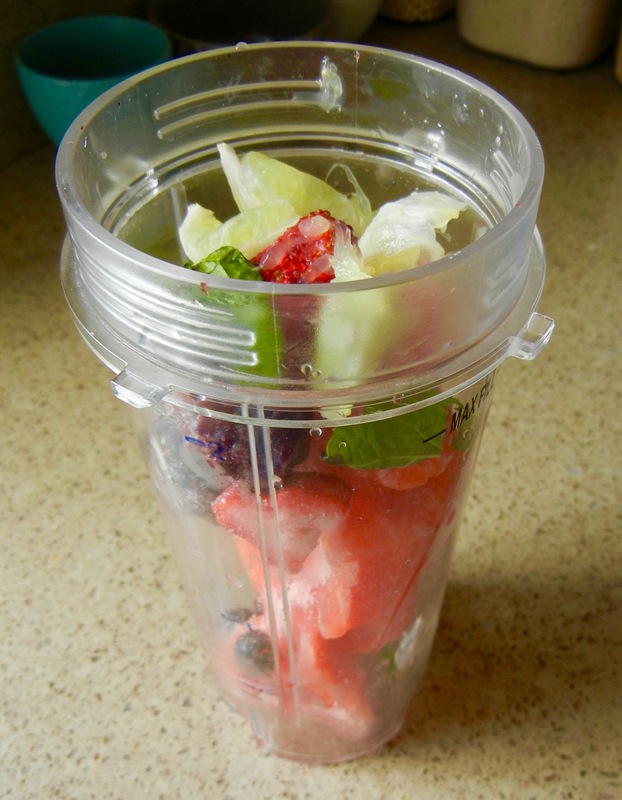 Place all ingredients into a blender and begin blending. You do not need to use sweetener but it definitely adds to the flavor. 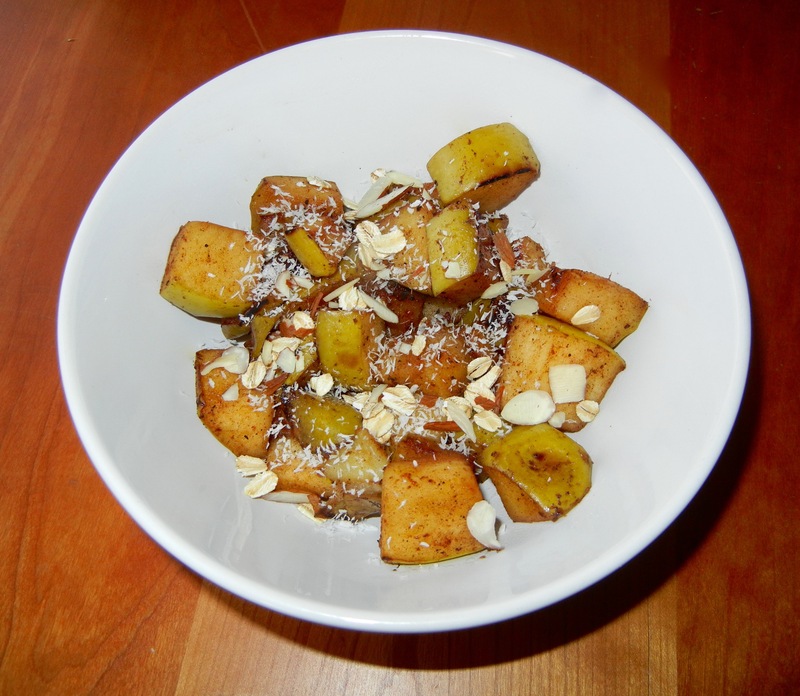 I used a combo of a bit of stevia and some coconut sugar for a nice depth of flavor. 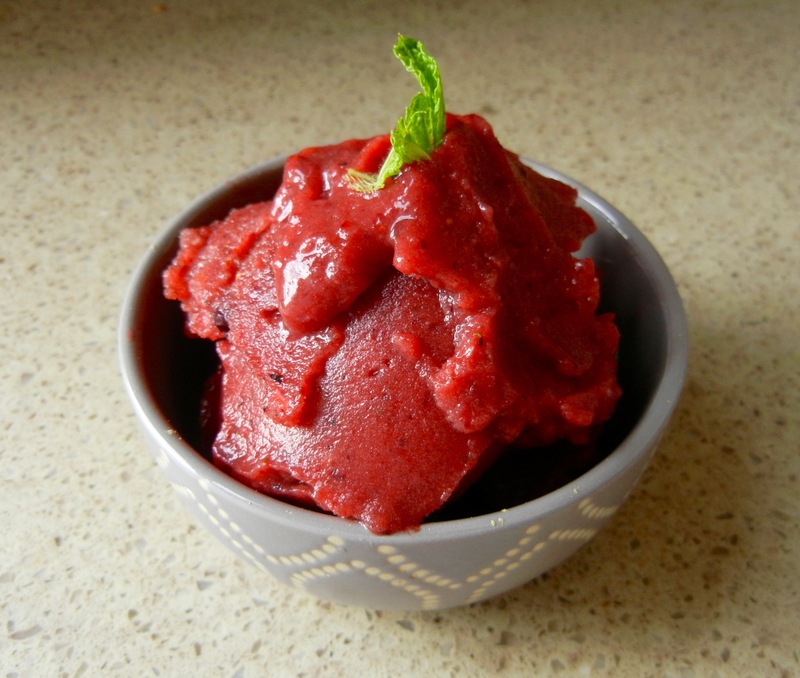 You will definitely need to shake up the blender as you are going as you want to add as little water as possible to achieve a true sorbet consistency. When the mixture will blend no more, add water by the tablespoon, blend, and if needed, add some more. The problem with so many creamy fattening foods is that they are so darn delicious. You can go to the store and buy many “light” alternatives, but while these options may be lower in calories, they are often sky high in chemical additives and strange ingredients you can’t pronounce. So what’s a health and taste conscious person to do? Experiment and make your own recipes of course! 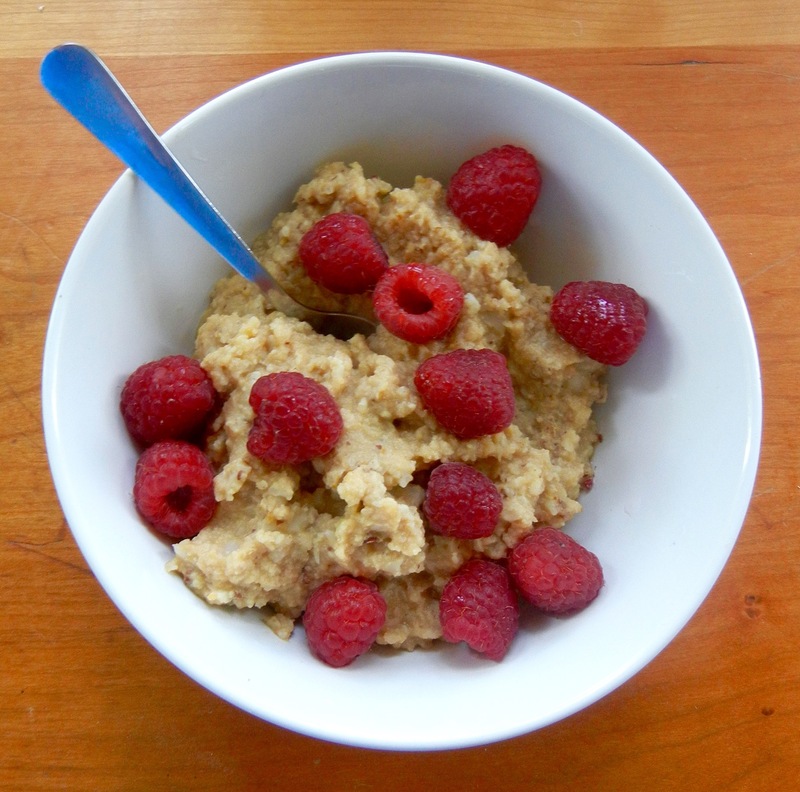 I’ve been using cauliflower a TON lately as a swap for things from rice to oats to mashed potatoes. 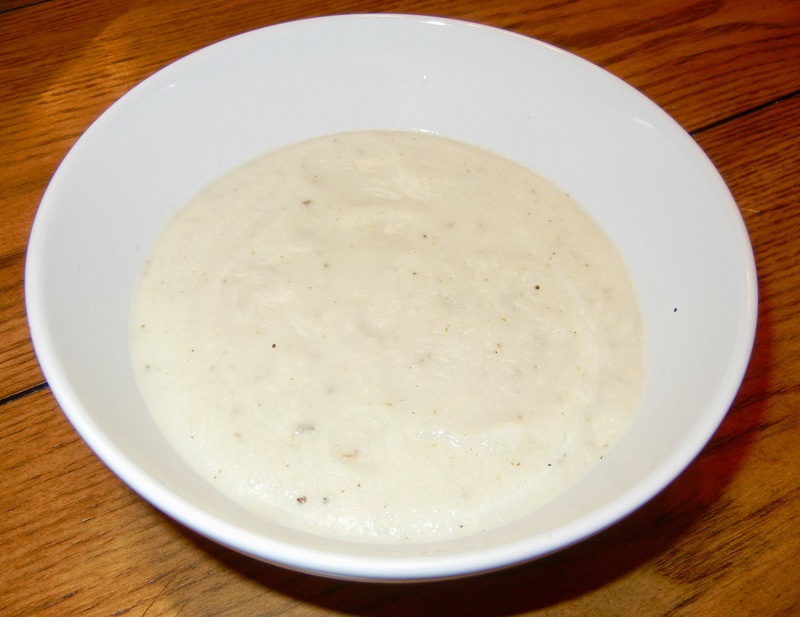 One night while I was making a cauliflower mash I noticed the creamy texture you can get from pureeing cauliflower and thought, wow this could make an awesome sauce! This recipe is super simple and you can adjust it to your own tastes with additional seasonings like cayenne, or a more buttery flavor with a tablespoon of butter or olive oil. With a vegan option and 2 ginormous servings for 60 calories, it’s an all around win. Place all ingredients into a medium pot and bring to a boil. Cover the mixture and let it simmer for around 15 minutes until cauliflower is completely soft. 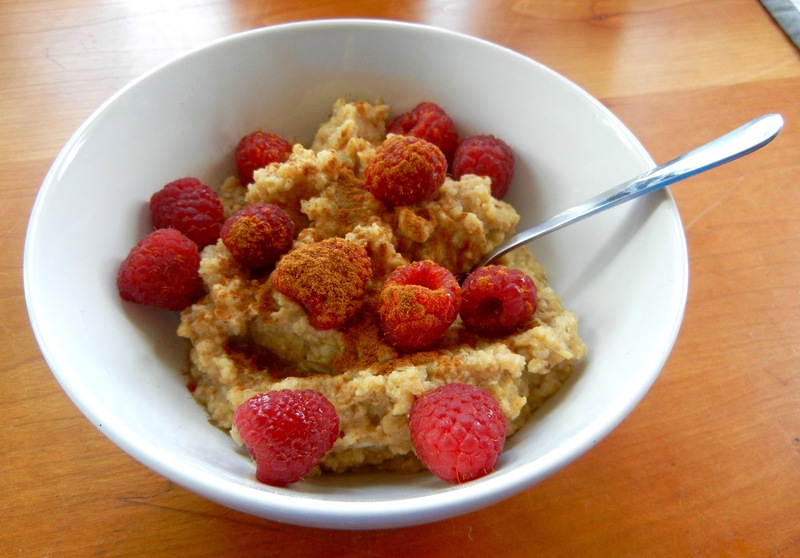 Using a blender or food processor, blend the mixture until smooth. 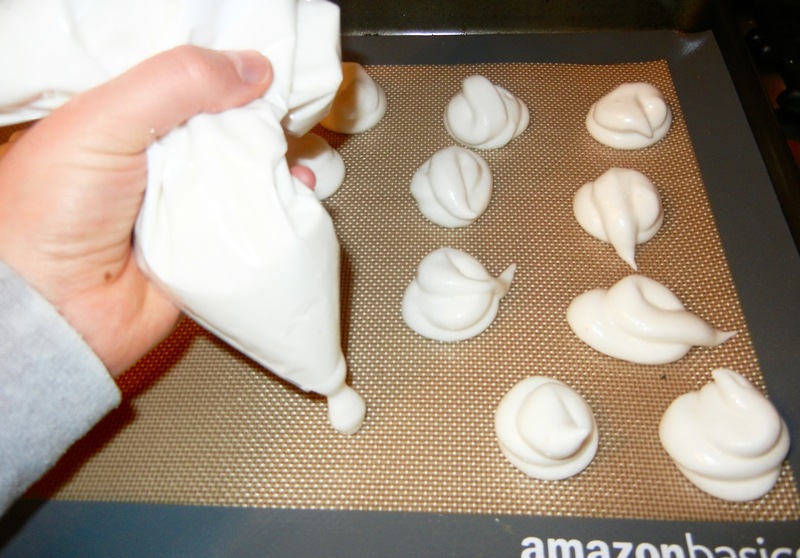 I was pretty skeptical when I heard you could use chickpea brine (now called “aquafaba”) to make into meringues. Even if they did whip up, wouldn’t they taste like hummus meringues? Not that there is anything wrong with hummus but it’s not necessarily what I would consider a good flavor for a dessert cookie. Despite my skepticism, I decided to give it a shot and I was happily surprised! Though they did not hold their shape like meringues made with egg whites, they were a nice sweet treat with a great crunch and they certainly fluffed up like regular ‘ol egg whites. Do NOT use liquid stevia. I put my meringues in the oven using liquid stevia and asked my boyfriend to take them out when the timer rang when I was on a run and he was very confused when he took out an empty tray from the oven… I’m guessing the liquid stevia didn’t hold up so the meringues just became liquid again and then cooked off. As far as granular stevia, a lot of the brands don’t mix well. My best suggestion is to blend your granulated stevia in a food processor or blender to make a powdered stevia so it mixes well into the mixture and doesn’t have the same strong after taste as the straight granulated stevia. Strain chickpeas and place all chickpea brine/ aquafaba into a large bowl. Using a stand or handheld mixer, beat mixture on high for 10-15 minutes. You’re going to want to kill me for how long this takes but I promise it’s worth it! Once the brine has reached stiff peaks, gently beat in your sweetener, vanilla and cream of tartar. 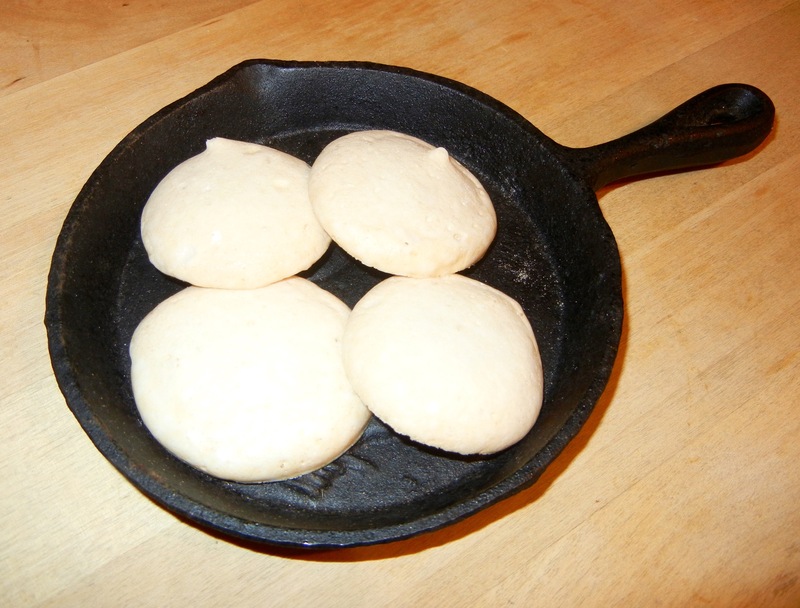 Now like a sheet pan or tray with parchment paper or a silpat and begin placing your meringue mixture on the pan. 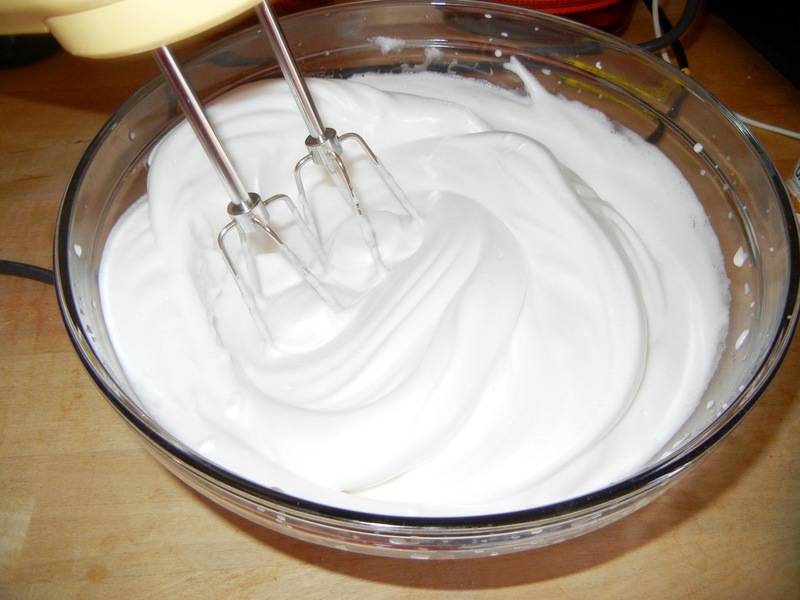 You can either try making a more traditional meringue shape by spooning your mixture into a pastry bag (or a makeshift one like I did by snipping the corner of a ziploc bag) or you can simply spoon the mixture by the 1 1/2- 2 tablespoons full. Bake the meringues for 60 minutes. Remove from oven and allow to cool for at least 10 minutes before removing. Soup is the best thing in the cold months. Even out here in California, temperatures are dropping and I love warming up a nice cup of soup when I come home. To really get full though, I like thick or chunky soups and this recipe certainly does not disappoint. 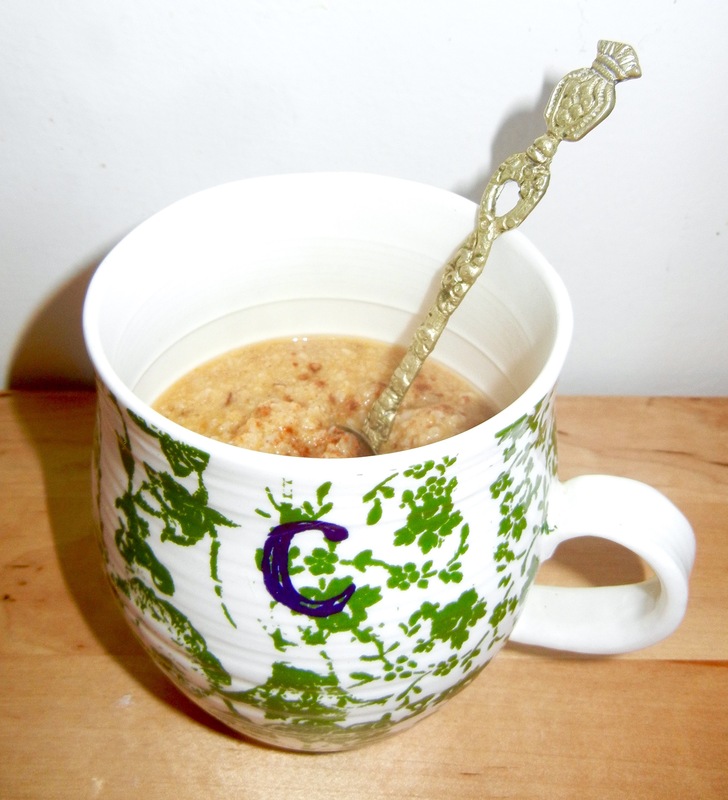 This soup is super tasty, ultra thick and under 60 calories per cup. Oh it’s vegan, gluten free (duh) and 3.5 grams of fiber! Cut onion into smaller pieces and mince garlic cloves. Spray the bottom of a large pot with olive oil over medium heat. Place onions and garlic in the pot. Stir occasionally until onions soften. Cut chili pepper and place it into pot along with cauliflower. I used frozen cauliflower but fresh works well too. Stir around until cauliflower softens (around 5 minutes). Add in vegetable broth and tomatoes, stir, and turn up heat and wait until soup comes to a boil. 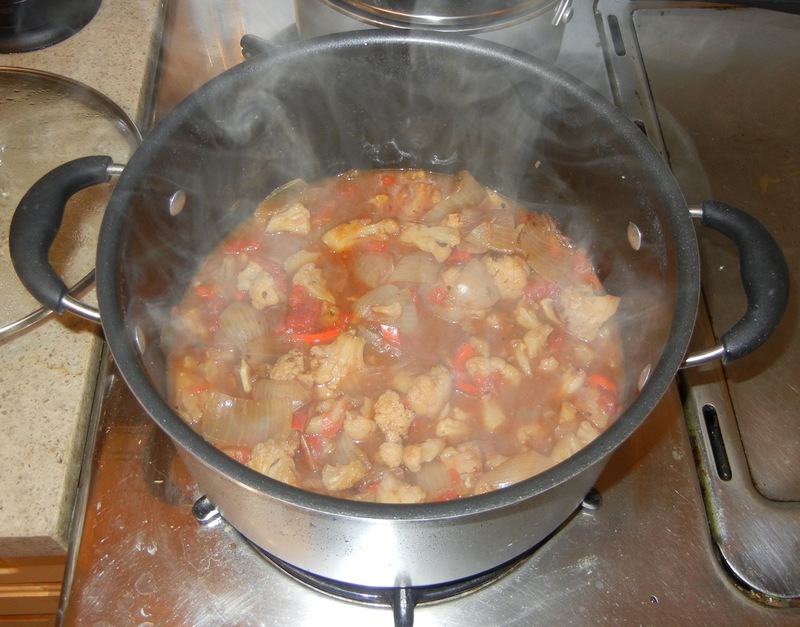 Once at a boil, turn flame down to a simmer, cover pot, and let cook for 25-30 minutes. After the 25-30 minutes are up, add in spices. Taste mixture to see if you would like to adjust your spices. 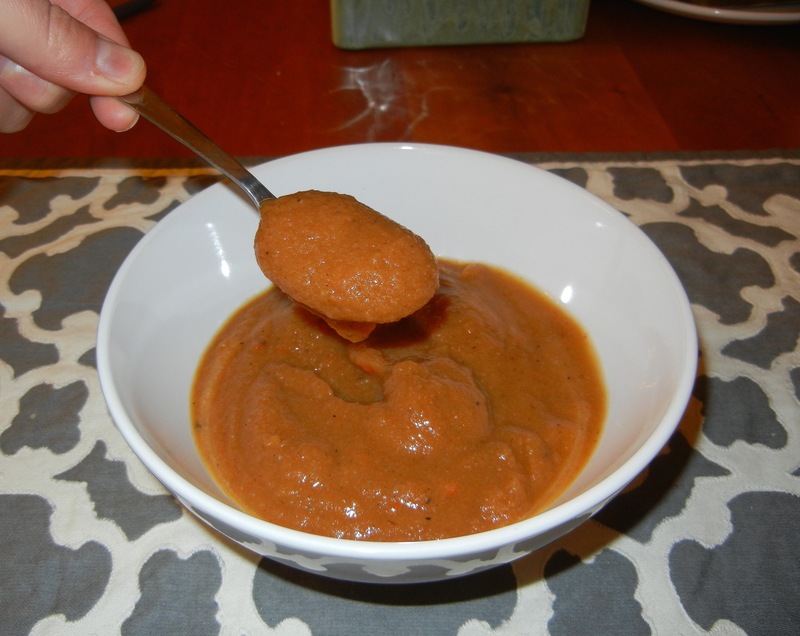 Using an immersion blender or a regular blender, blend the entire soup and then you’re done! Note- this freezes well so feel free to keep out what you will eat within a few days and freeze the rest in an airtight container! Happy New Year everyone! Wishing you all a happy and healthy 2016 filled with delicious food of course. Let’s start this year of right with a super simple snack. I find that when I make my own snacks at home, they’re less processed than what I can buy in stores, I save money, and I get to make recipes exactly for what I crave. When I have healthy snacks on hand it makes it a lot easier to eat well and not tear open a bag of chips. 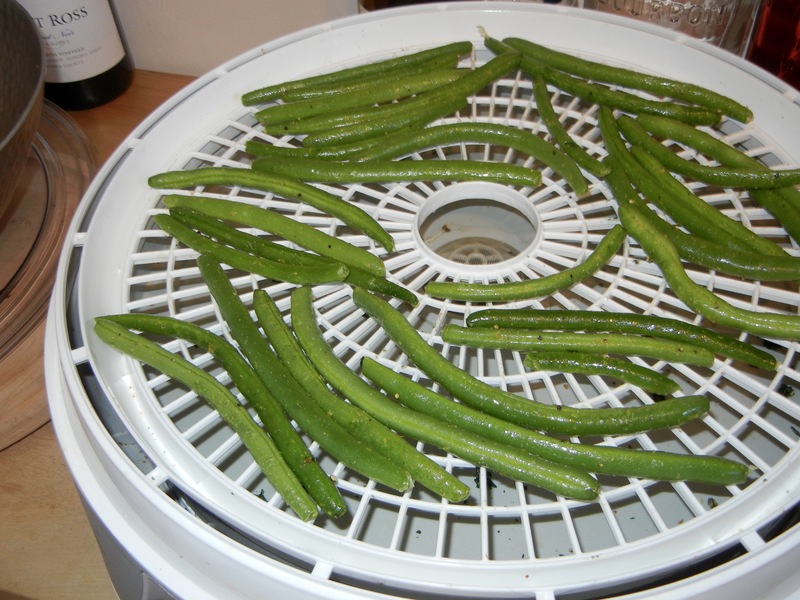 For this recipe I used a dehydrator but you could also try baking them in the oven though they may not achieve the same crispiness that you get from using a dehydrator. Feel free to change up all the spices to make it exactly to your liking! 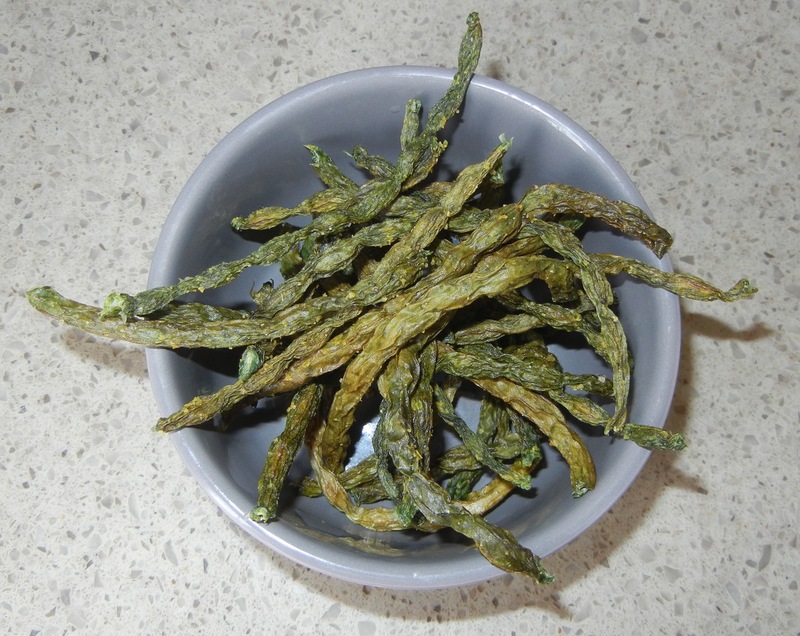 Place all ingredients in a bowl and toss to evenly coat the green beans. 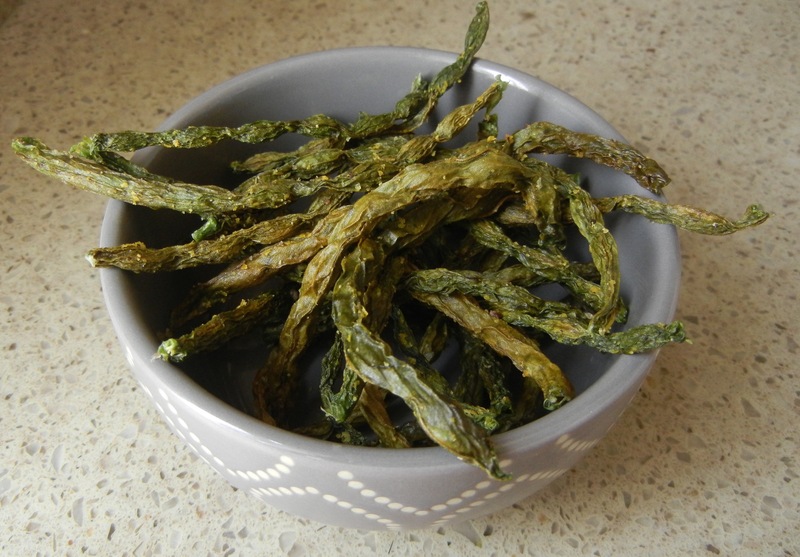 Place in your dehydrator for 8-12 hours until crispy and enjoy! Whenever I go on vacation I do my best to use whatever I have left in my fridge as to not waste. Some things I will freeze, bake, or dry to preserve them for longer, or I will get creative and make some recipes! 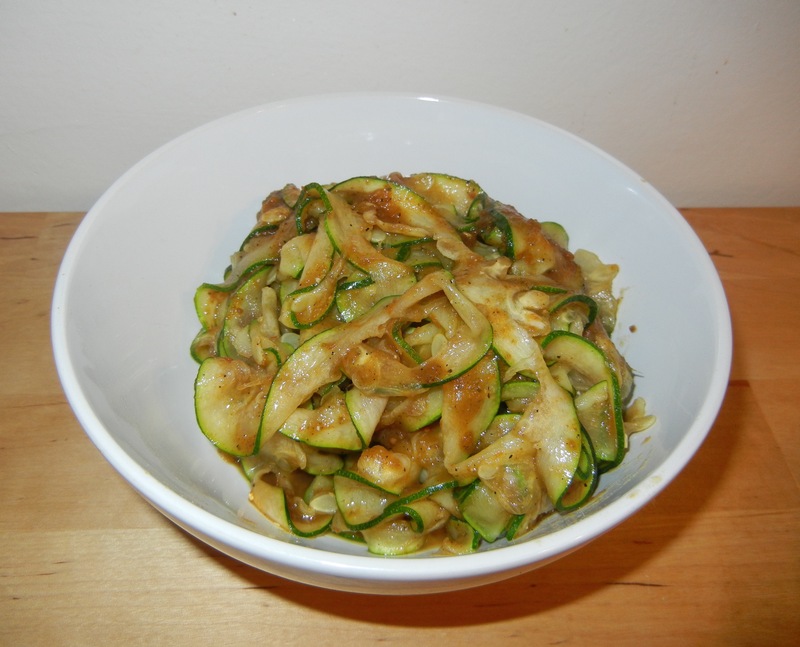 I decided to use up my extra veggies to make an onion tomato sauce that I tossed with zucchini noodles for dinner the night and then I places what I had left of the sauce in the feezer to use for a later time. This is the recipe I created with what I had on hand but feel free to improvise with whatever you have! Spray a medium to large sized pot with olive oil and saute the garlic with the onion until translucent. Add in the grape tomatoes and celery stalks and cook while occasionally stirring until celery is softened and tomatoes are blistered. Add in 1 cup of vegetable stock and bring mixture to boil. 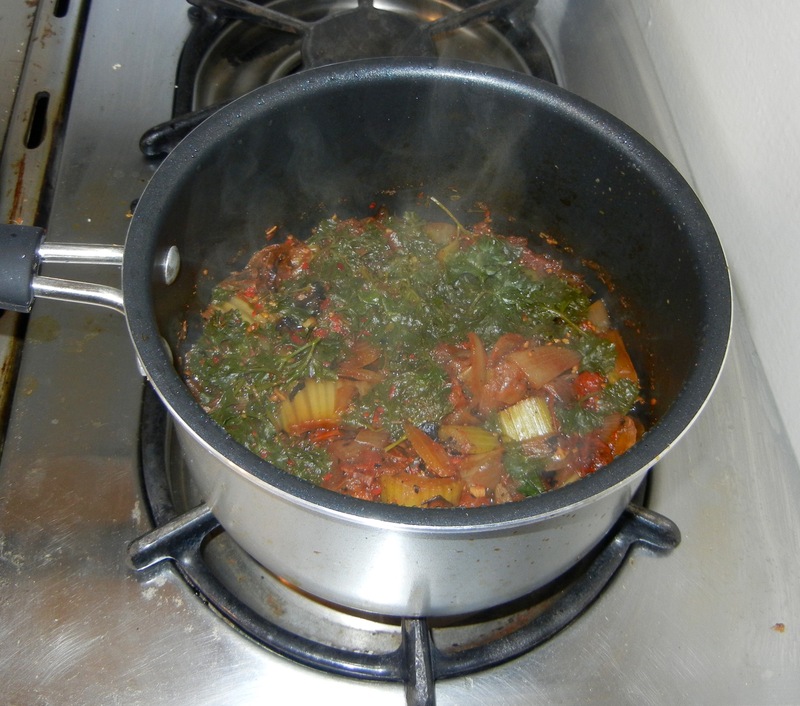 Add in parsley and cover pot and reduce flame to a simmer. Let sauce cook for 25-30 minutes. 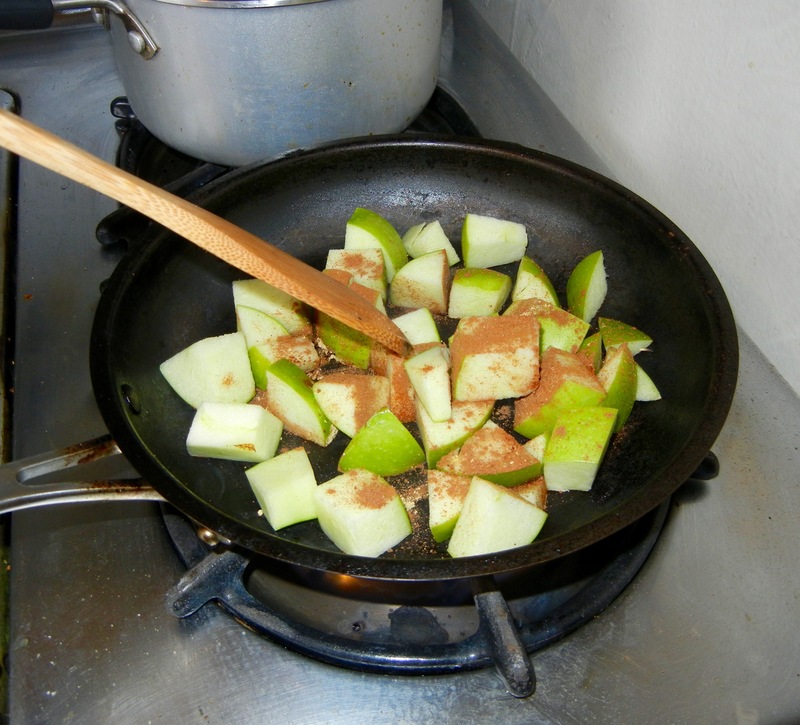 Remove lid and either using an immersion or regular blender, blend sauce until it is smooth. 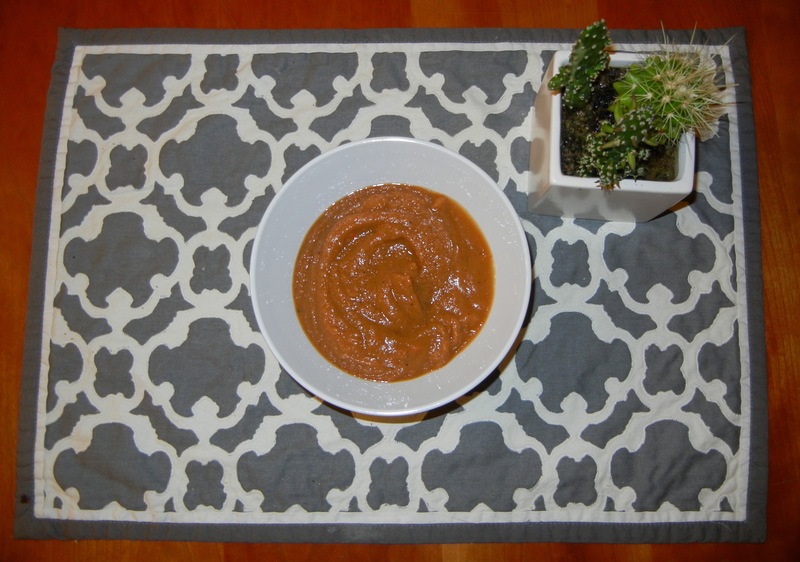 Use as a dip, sauce for pasta or veggies and more!